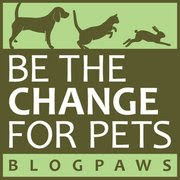 This week's "theme" over at BlogPaws is "How to Blog Better". Why not jumpstart your inspiration with the daily blogging tips provided by the super BlogPaws team and community members. Meanwhile, back at the Ohio ranch... I'm trying to decide which toys to play with indoors, cause I'm not too fond of all the rain we've been having. I prefer keeping my paws dry, thank you very much! 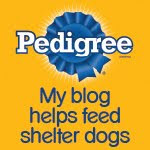 Now on to the BlogPaws Wordless Wednesday Pet Blogger Hop. Don't forget to join up and meet some new blogging buddies! Bocci sorry to read it is raining over there. Here it is hot and humid so after our hunt this morning we are staying inside and trying to stay cool. Have a wonderful Wednesday. I try and stuff several into my mouth at once, which makes Parental Unit crack up!